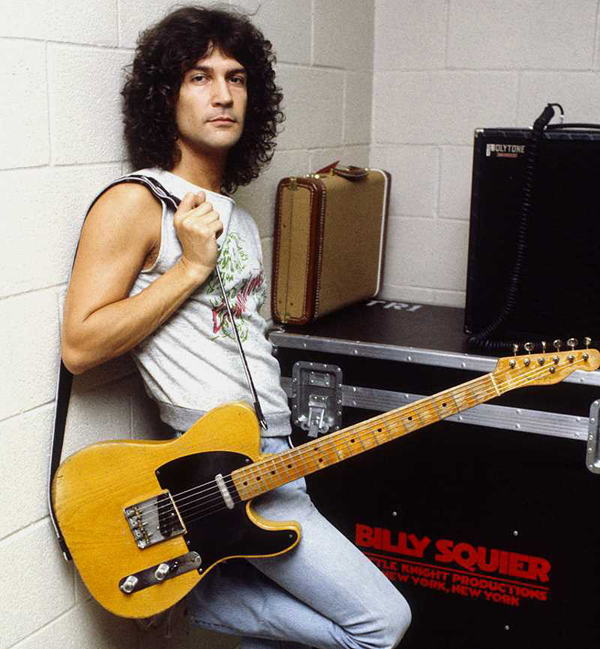 I’ve been enjoying a podcast series called “Songs of the Knight” on the Pods & Sods Podcast Network which has reacquainted me with the music of Billy Squier. Three hosts from different podcasts are going through, via discussion with each other on the ‘cast, Squier’s discography chronologically album by album, with each episode focusing on a different one. These guys are all big fans of his but not fawning “everything he did is great” types either. They’ve got critical ears and the podcasts can be pretty funny at times too. When he wasn’t singing about lovers or singing about rocking this or rocking that, he wasn’t afraid to explore other subjects, such as in “(Another) 1984”. 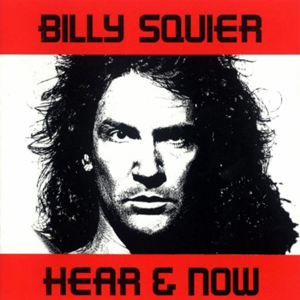 Squier was huge in the early 80s, but may be one of the most forgotten rock stars of that time these days. Everybody, including Squier himself, blames his career nosedive on the video for “Rock Me Tonite” (1984) where he prances/dances around a faux bedroom studio set in a pink shirt. I’ve always thought that was a bit of a convenient excuse for Squier, though, to blame it on the video. I mean, he was doing those same kinds of prancy dancy moves in his performance videos years before “Rock Me Tonite” and to profess that he was surprised when he saw the video sounds disingenuous to me… like, wasn’t he there during the filming? The podcast guys also note that it’s a bit of revisionist history as most people weren’t saying anything particularly negative at the time. It looked like a lot of other contemporaneous videos, actually. Rather, it could have been that times and tastes were moving on and he was merely a victim of the changing rock climate. 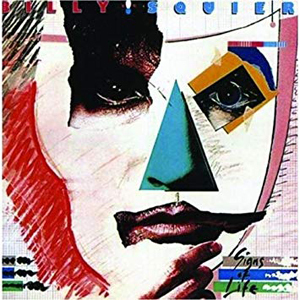 His tour for that album (Signs of Life) had Def Leppard opening and reportedly the audiences went crazy for Leppard, whose star was on the rise, and less so for Squier. Additionally, the podcast guys make a good point that he was never marketed very well. Was he rock? Was he power pop? Was his target audience guys or girls? Album covers had him looking like “your sister’s ballet instructor” (as one of them jokes) with pouty, bedroom eyes. Not especially appealing to the average dude blaring cassettes in his Camaro. 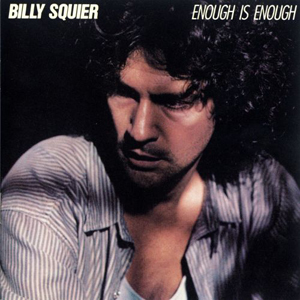 When he came back two years later in 1986 with Enough is Enough, the cover shot, coupled with the title (Enough is enough! I’m a serious artist!) made him look a lot less glam, and more like it was the “day after” fame (which it kinda was.) He looks – with the shadowed light, the unshaven face, the unbuttoned shirt – like he has a hangover. But the music wasn’t really much different than before. I don’t mean that in a negative way – I still liked it, though there weren’t as many memorable tunes. Enough is Enough also has his “Stairway to Heaven” moment, the epic and grandiose “Til It’s Over.” Electric guitars, moody acoustic guitars, dynamics! Even a flute/recorder part that reminds me of “Stairway.” But, hey, “Til It’s Over” was the song I always went to first when I was listening to the cassette in the car of my youth (*not* a Camaro, unfortunately). He did it well, even if it was a bit over the top. 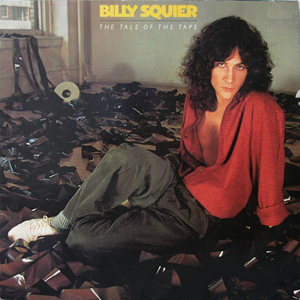 I was out of the Billy Squier album loop by the time his next one Hear and Now (1989) came out. And it looks like those late 80s years continued to not treat him well on the album sales front judging from the somewhat crazed and shattered/strung-out looking cover portrait. A definite continued move away from any concessions to teen-pop stardom. I’m lookin’ forward to catching up with Mr. Squier’s work via the next podcasts.